Anything can happen, and often does, in a Cassandra Parkin book. What I find unique about Cassandra Parkin's writing is her ability to turn a normal everyday story into something special and unforgettable with her inimitable hint of ethereal darkness. 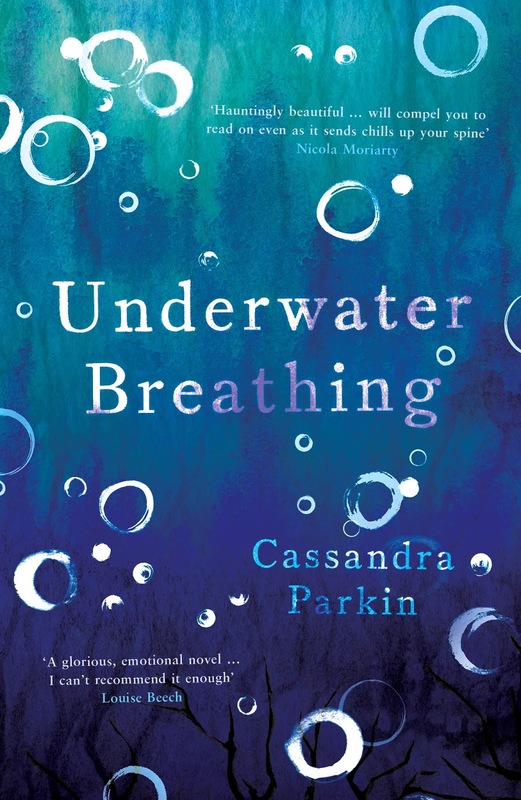 Cassandra Parking completely nailed it in Chapter One, in my opinion, as Jacob and Ella are playing their Underwater Breathing game. Jacob is holding his breath underwater in the old bathroom trying to listen only to the steady counting of his sister, Ella, but being interrupted by the disturbing sounds of his parents arguing in the room below. This is not a happy family and the parents are so intent on destroying each other that they don't even notice the effects it is having on their children. I was terrified that something would go wrong during this 'game' that the parents didn't even know their children were playing. It is no surprise therefore that Ella and her Mum run away one night, leaving Jacob with his abusive, alcoholic father. Jacob never recovered from the loss of his sister; it was like losing half of his heart and it felt as if his life was pointless without Ella. Jacob is sleep deprived and often attacked by his father whose mind is gradually fading to dementia, so Jacob easily conjures the presence of his missing sister but one day she really does appear before him. The joy when Ella returned was immense but I was worried what secrets she would reveal and how she would cope with their father not knowing who she was. At least one constant remains for Ella: strange Mrs Armitage still lives in the house overlooking the sea. The same North Sea that Ella was so frightened of as a child, as the cliffs crumbled and threatened to take theirs and Mrs Armitage's house to a watery grave. I felt as if the whole essence of the North Sea is written into this book: it's cold, dark, dangerous and cruel, yet beautiful in its tempestuousness. The depth of the characters is outstanding as layer upon layer is peeled away to reveal surprisingly flawed, raw people. I loved the character of Mrs Armitage - she is so mysterious and although she doesn't like people, she really took a shine to young Ella. Mrs Armitage tells it like it is; she was trying to help young Ella overcome her fear of the sea by telling her that her house would crash into the sea before theirs but it must have given Ella nightmares. For me, Mrs Armitage stole the show and I wouldn't have had it any other way; every time I look out over the North Sea I shall be reminded of this fearless, strong, independent woman. 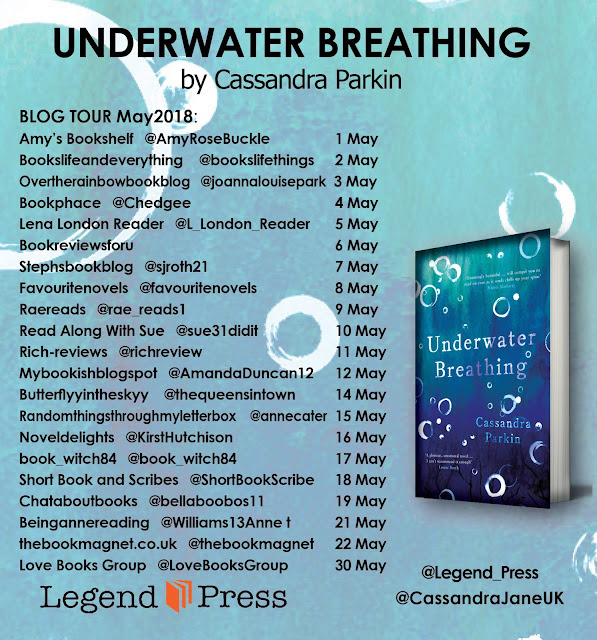 Underwater Breathing is another exceptional, hauntingly beautiful book by Cassandra Parkin, who is fast becoming a firm favourite author of mine. A highly recommended read. Cassandra Parkin grew up in Hull, and now lives in East Yorkshire. Her short story collection, New World Fairy Tales (Salt Publishing, 2011) won the Scott Prize for Short Stories. Cassandra's writing has been published in numerous magazines and anthologies.